Pioneers in the industry, we offer tea coaster sets, coaster sets, personalized coaster sets and cloth coaster set from India. 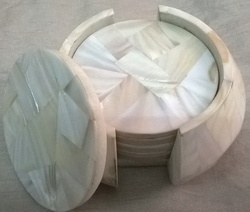 We are the leading organization in this sector, actively engaged in creating an impeccable quality range of Tea Coaster Sets. 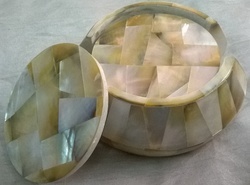 The offered Coaster Sets is designed and developed by our top team members using superior quality raw material that is procured from the reputed vendors of the industry. Available in different sizes and finishes, this Coaster Set is also offered in different customized options at market prices to our users. 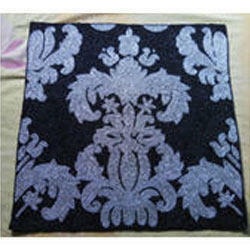 We are always ahead of all our competitors in this industry because of our unique designs and textures. We are offering collection of Coaster Sets, it is made up of supreme quality raw material and fulfills all norms of this industry. These coaster sets can be very easily kept by users in the palm of the hand. These coaster sets are available for clients at best price. We are known as a top name in this industry having several years of experience. 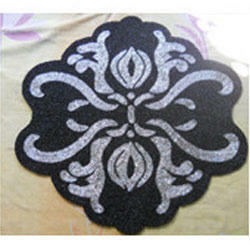 Our product Personalized Coaster Sets is a special product designed by our expert team to make happy our clients. 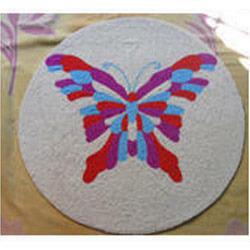 It is made up of top quality raw material which is stain repellent and having great strength. Our clients can avail this from us at very effective and minimal. With the experience of last many years now we are a brand in this industry. Our collection of Cloth Coaster Set is designed to increase the beauty of your tables and kitchens. These sets are created through top quality wooden and raw material. Our clients have appreciated this collection in the past very nicely. Clients can avail these boxes from us on a great economical price. Looking for Coaster Sets ?